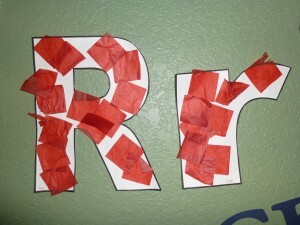 When doing our rock theme we also focused on the letter R. We did lots of R crafts and games. For some reason my girls were every anti-R. Getting them to make the sound was like pulling teeth. A few times they even told me they really didn’t like R. Of course since my name starts with R I did take it a bit personally. But hopefully I won them over. 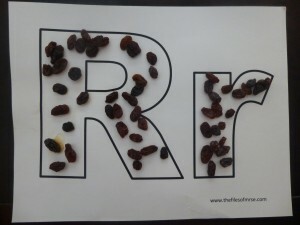 For each letter we do we try to do a tactile picture, so for R we filled in the Rr template with raisins. It doesn’t look the prettiest but the girls found it entertaining. And of course we had to eat a few too! 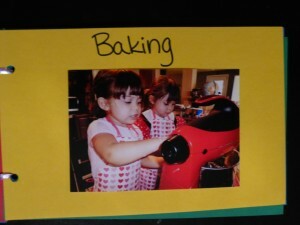 We also made oatmeal raisin cookies that day! The girls love making letter books–they like making a real book and that they can read it. 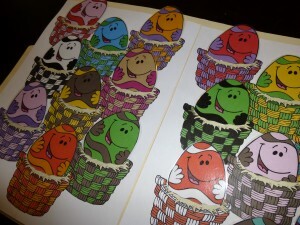 Ed, my awesome graphic designer, aka my husband, made the clipart for these coloring books. He designed the pictures of r words, I cut them out in smaller squares and the girls colored the pictures. 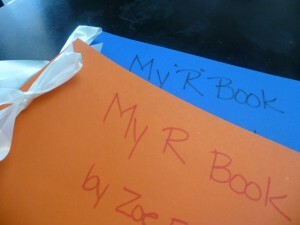 Then they glued them on the cardstock pages which we bound together with ribbon. Alright, the letter R really has nothing to do with hopscotch but for some reason this came to mind and was a lot of fun. 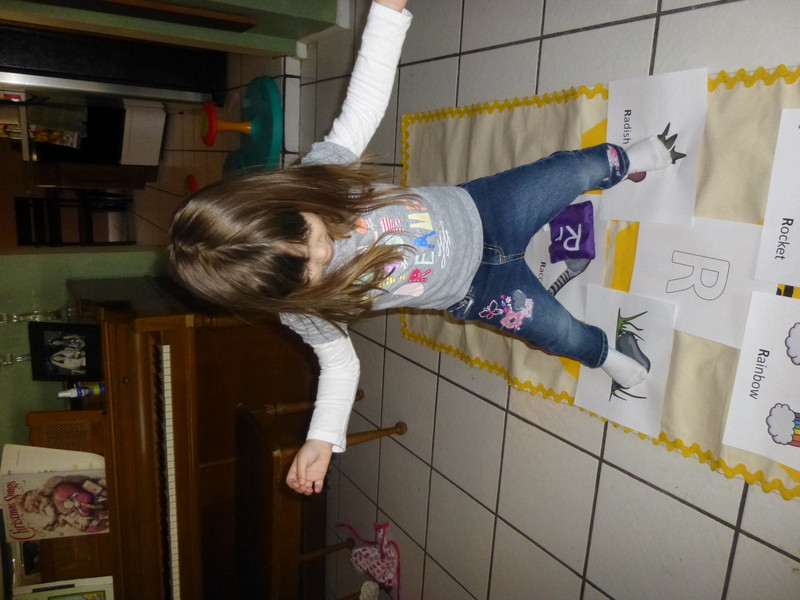 We used the super cool hopscotch set my sister made for the girls (I have a feeling that will be appearing in a blog post soon). 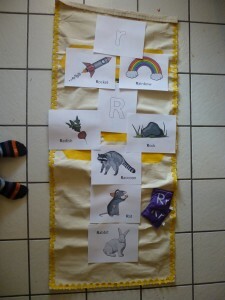 I printed out the r word pictures and taped them to the hopscotch board. However, you could just tape them to the ground in the shape of a hopscotch board. 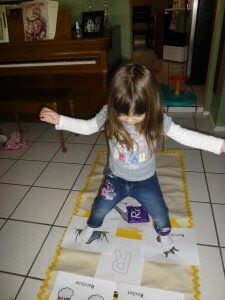 Each time the girls hopped on a square they would shout out the word or letter. 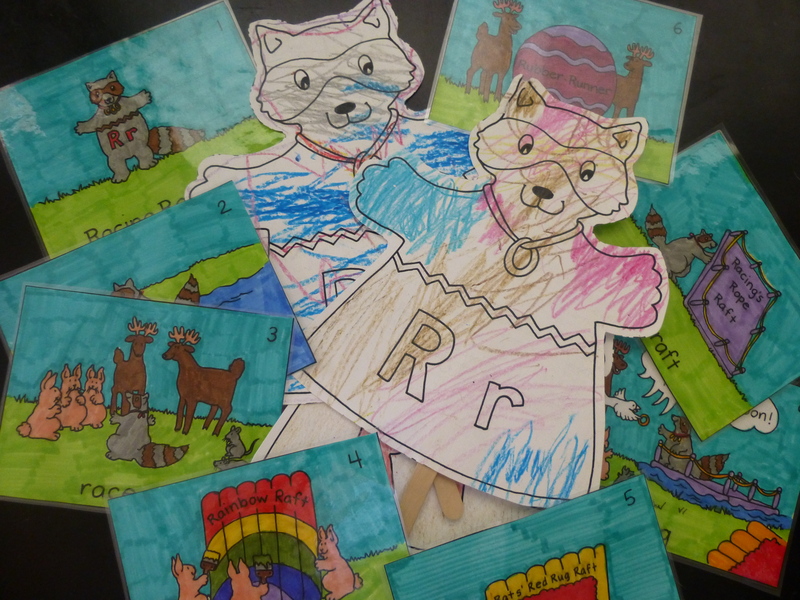 This was great for them, because it made the letter R fun since as I mentioned, the girls were not that found of R.
I used the same images from the hopscotch game to create an R hunt around the house. 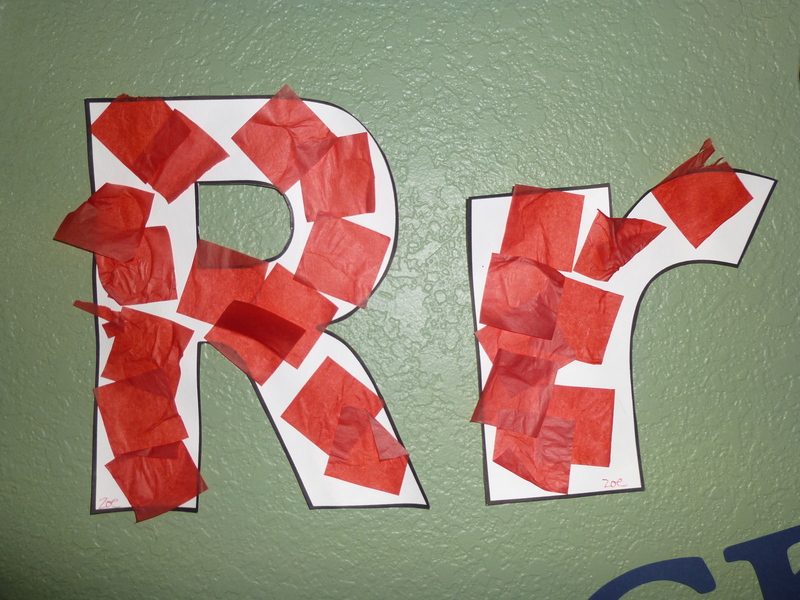 I taped the pictures around the house and the girls then went searching for the R animals and letter r.
On another day we focused on the color red. I used the same template from the raisin day but this time we cut out the letters. 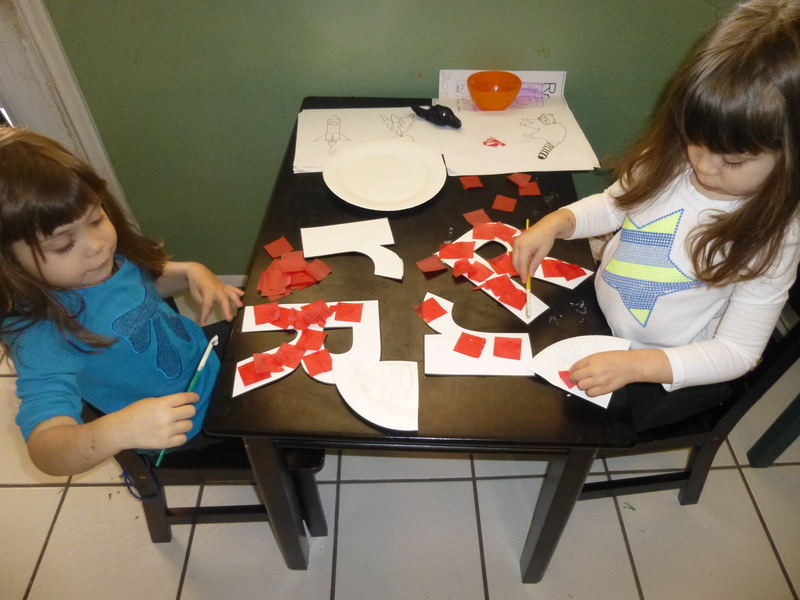 The girls then covered them with red tissue paper squares. We also enjoyed making the puppets from Alphabet Stories: Puppets and Picture Stories That Teach Letter Recognition and Sounds by Jill M. Couldron. 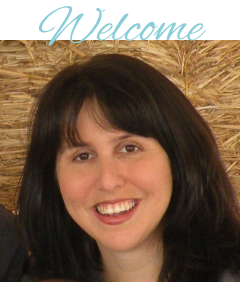 The book is no longer in print but here is a sample to share with you. 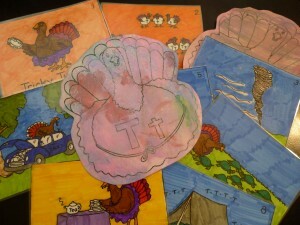 Last week we focused on the letter T. We were going to do this around Thanksgiving but the holidays took over. But we did it now and the girls had a lot of fun. 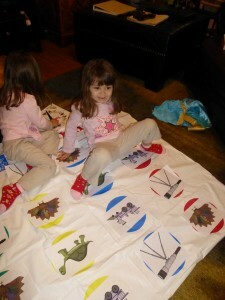 They especially loved the Twister game. 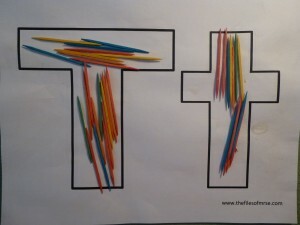 For starters we filled in our upper- and lower-case T template with toothpicks. 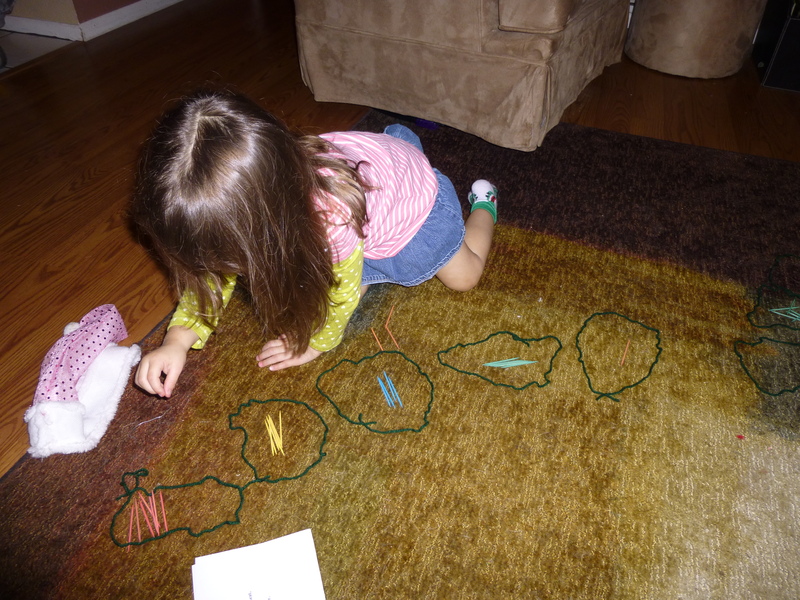 The girls also made Ts with the toothpicks and you could certainly have the kiddos try to make different shapes and pictures with them. 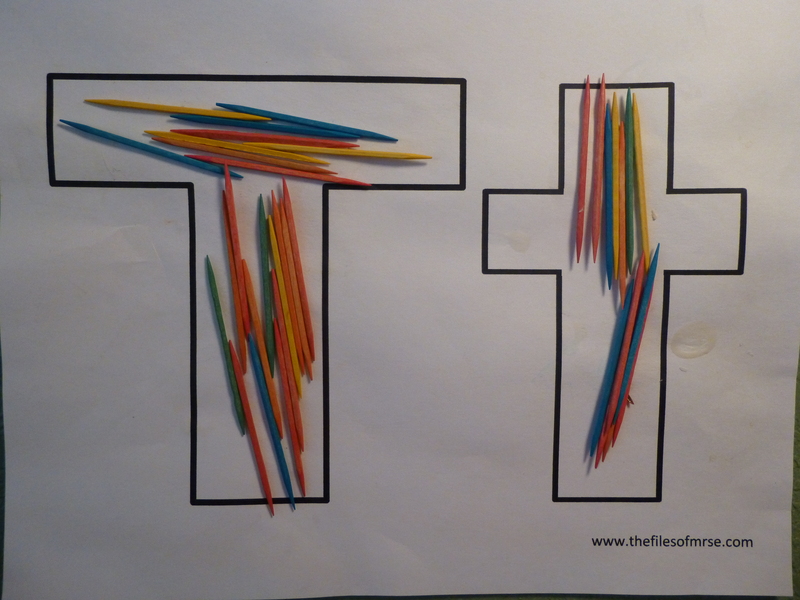 This also went great with our next toothpick activity. 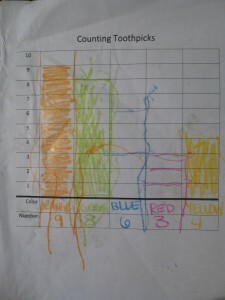 Since T is for toothpicks we practiced our math skills by sorting, counting, and graphing colored toothpicks. I used yarn circles (a piece of yarn tied in a loop) to help us separate out the colors. 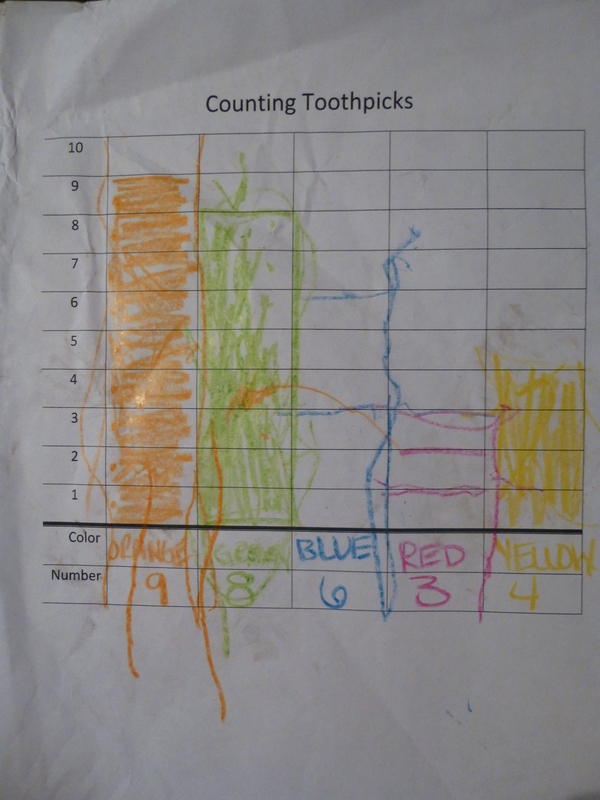 For each circle then we would count the toothpicks and then color the number of squares on the graph. 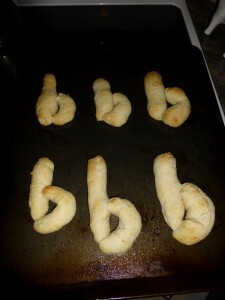 I’ll be honest, this took quite a few tries before the girls got the hang of it. My advice is to start with a relatively small amount of toothpicks, especially if it’s your first time graphing. 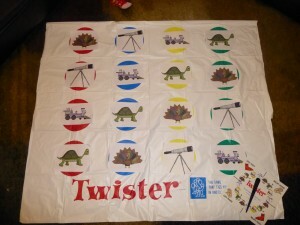 Twister alone is a great T activity but I went ahead and made it more T-focused for us. I replaced the colored dots with turtles, telescopes, trains, and turkeys. 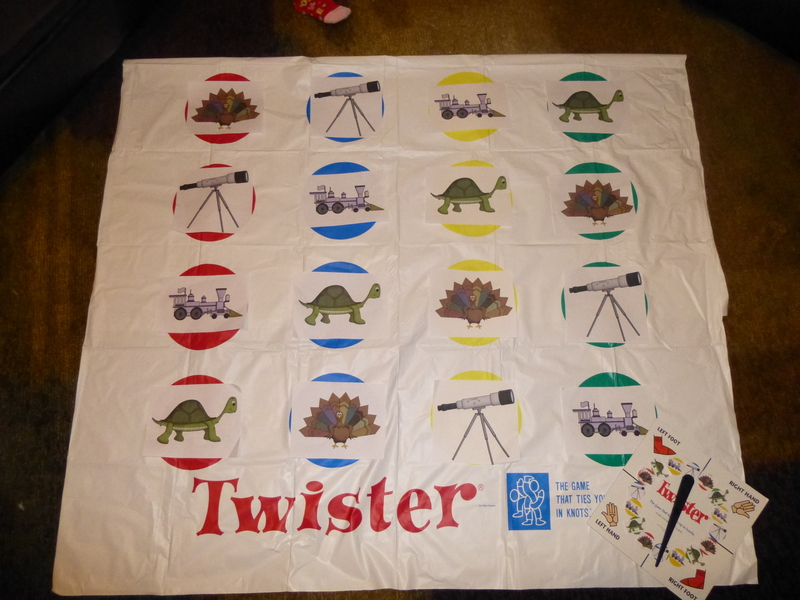 It also made the game easier for the kiddos to play and with the template you don’t need the actual game to play–you can just tape the pieces to a sheet or the floor. Print out as many copies of the images as you need to make the game board. Because the girls are small, I folded down the top part so that there were only four rows. I also mixed up the images instead of following the straight lines of the traditional game board. 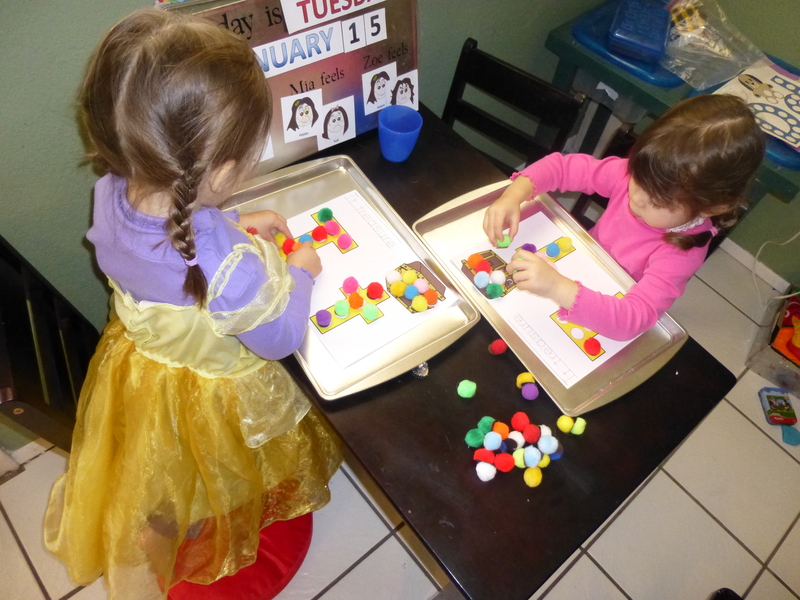 This made it easier for the girls to reach the different pictures because there was no way the girls could reach all the way from one side of the board to the other. Then print out the page for the spinner. 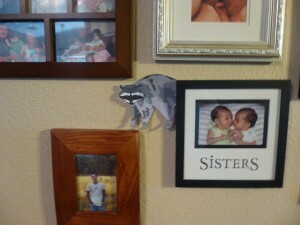 Cut out the pictures small and tape them to the spinner. I recommend for both this and the board to use masking tape or painters tape so that it doesn’t stick permanently and ruin your game. 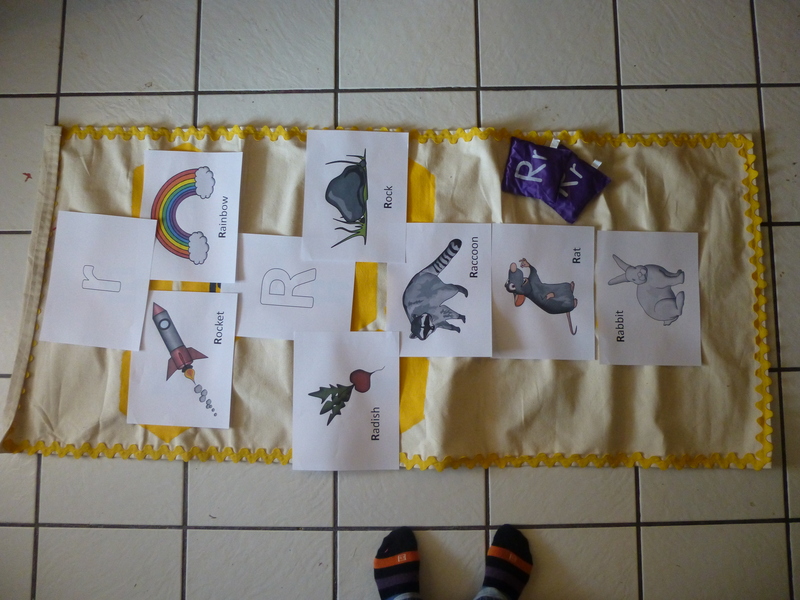 The girls have really enjoyed the puppets and story cards we have used from Alphabet Stories: Puppets and Pictures that Teach Letter Recognition. We also used the songs and games from the rest of the series of books. 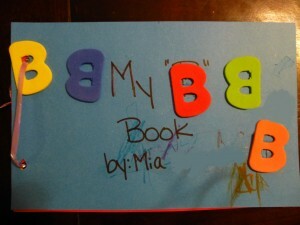 The girls enjoyed their B book so much that I’ve decided we’ll make one every time we do a letter. Real photographs are a big hit so we used a combination of pictures we took around the house, activities we’ve done, and ones from special events. 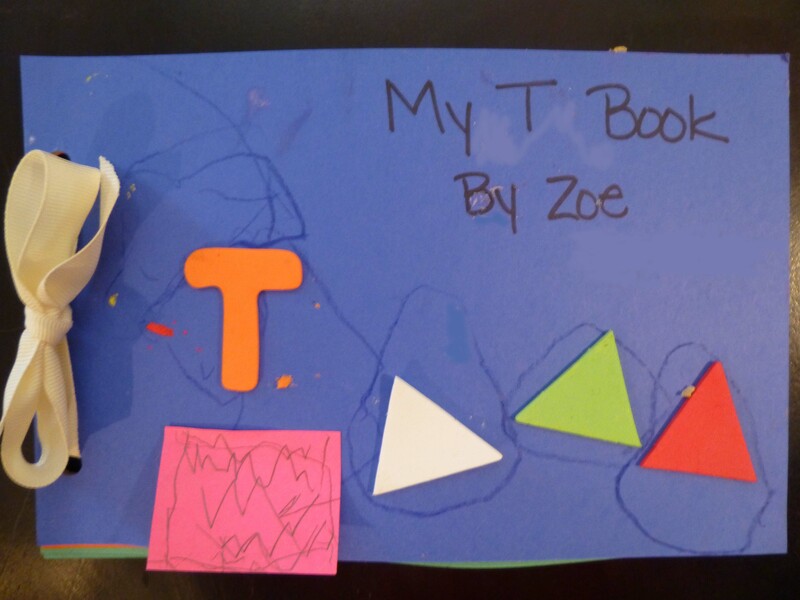 Some of the words in our T book included: tree, tie, turtle, telescope, tricycle, table, and towers. 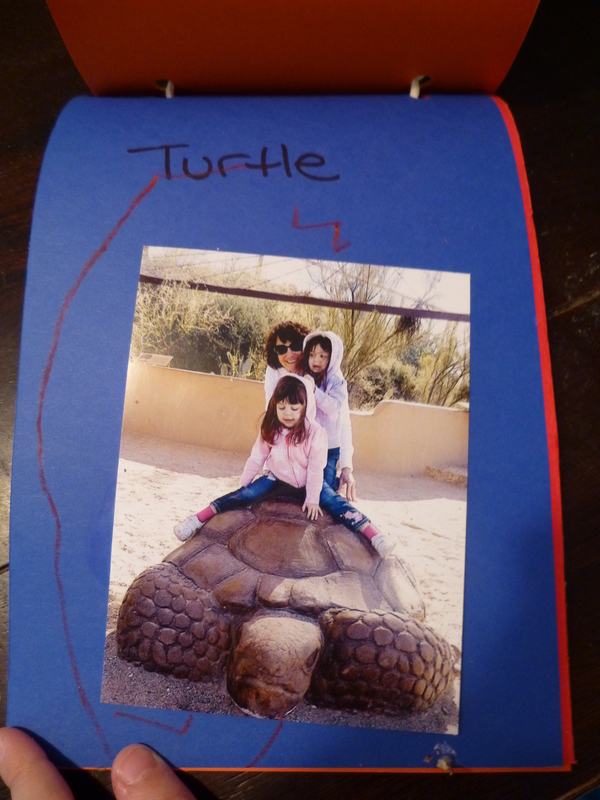 This is the page Mia chose to share with you! One of the girls’ favorite T activities was dancing the Twist. I played songs such as “The Twist,” “Twisting the Night Away,” and “Twist and Shout.” They loved it! And now dancing to oldies has become quite the time at our house. I also tried to have some T meals when we were doing a lot of our activities such as tacos and taquitos. 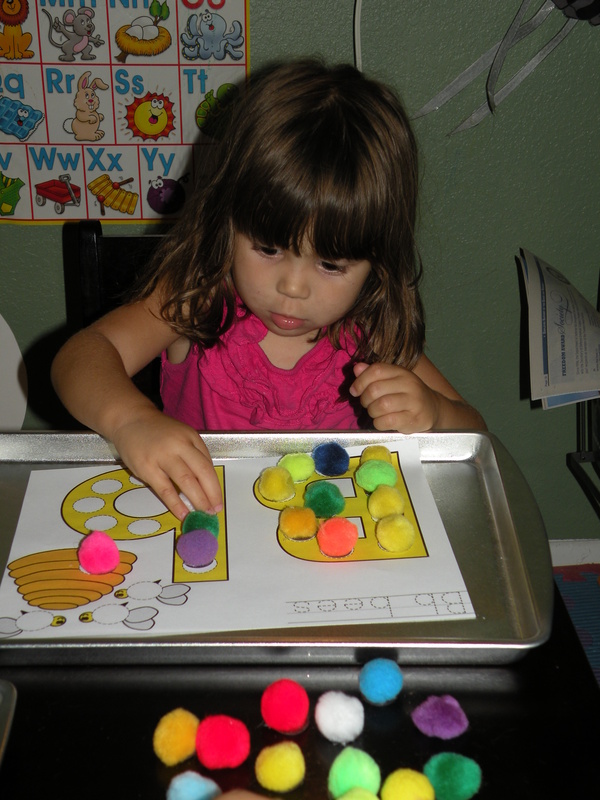 We also used our magnetic pom poms on the T worksheet for dauber dots. What I especially like is that the girls make up stories about the picture and the letter while putting the pom poms on it. This time they talked all about their treasure. 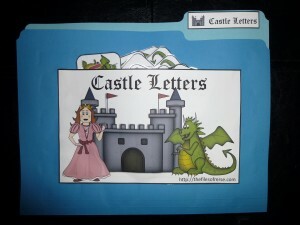 We also do some letter worksheets. Sometimes we do these together and other times I just put them out for the girls to color if they feel like it. 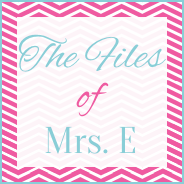 What’s a file folder game? 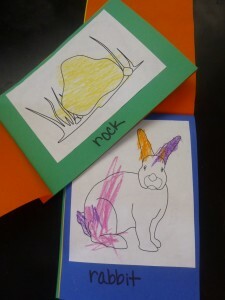 File folder games are a great way to create fun, inexpensive learning activities for your little ones. 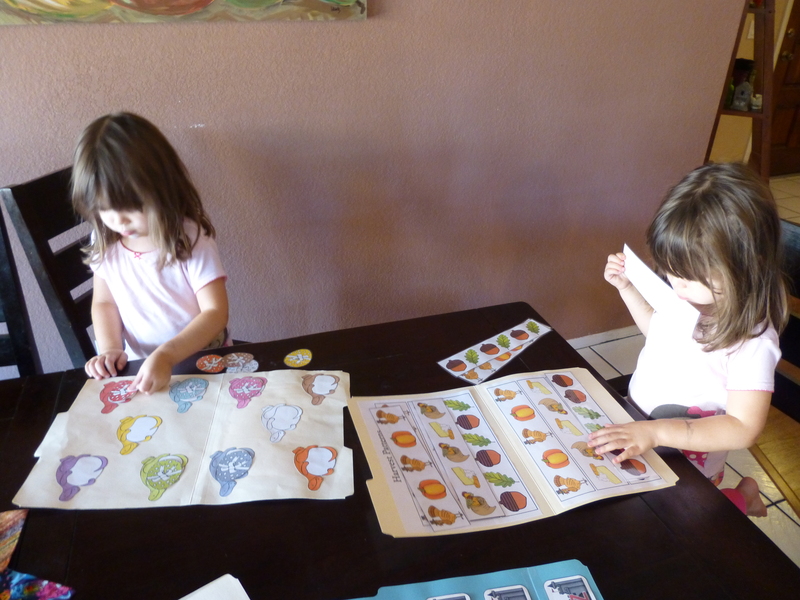 If you aren’t familiar with file folder games already, they are educational games that are usually attached or stored in a file folder. Because they are so compact, they are easy to store and to keep track of all the pieces. Typically a FFG includes a pocket for the front to hold any loose pieces and a label for the folder tab. They are also really cheap to make–most just take a folder, paper, ink, glue, and (if you want the pieces to last) laminator. And since they are so inexpensive, you really have a chance to be creative. You can make games for any theme or holiday. While there are sites to buy file folder games, either already made or to download, there are plenty of sites that offer free file folder games. 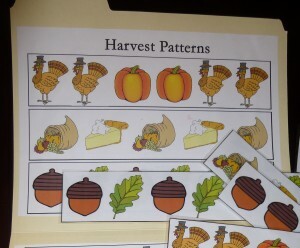 But the very best part is that you can use file folder games to teach so many different concepts. Really I’ve seen games for every subject and for such a wide range of ages. 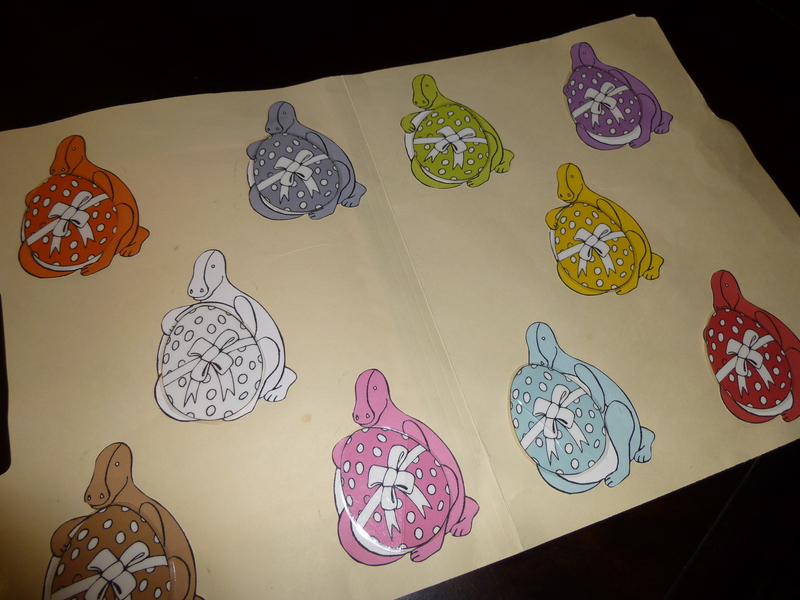 And to kick off your file folder game collection, here is one my husband designed for the girls. 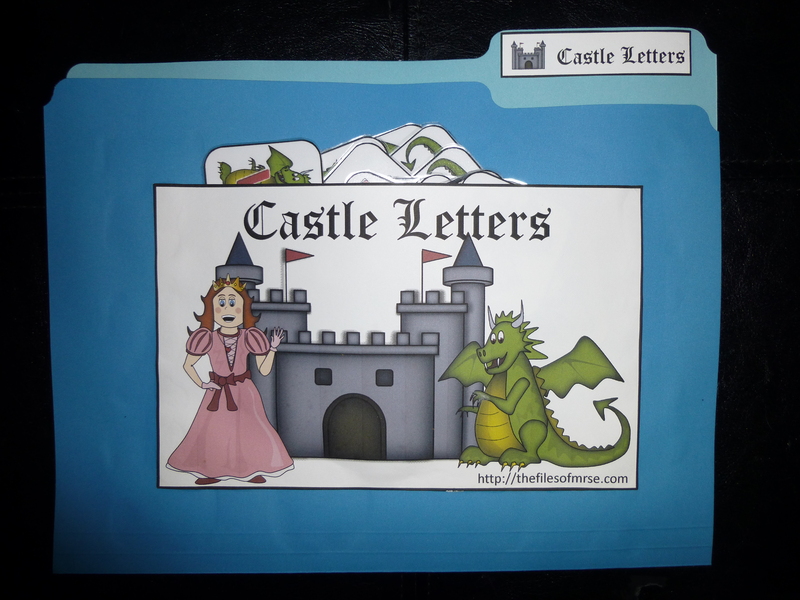 It’s a letter matching game that features both upper- and lowercase letters (uppercase letters are princesses and lowercase letters are dragons). 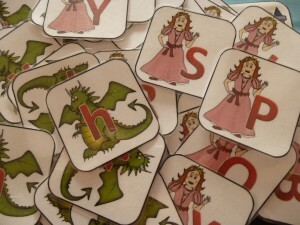 You can use it to introduce letters, practice letter recognition, or practice letter sounds. 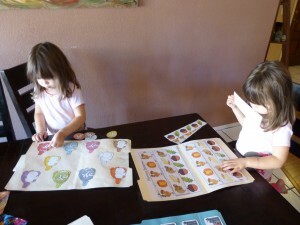 This morning they found the file folders I was taking pictures of for this post and started playing with them. 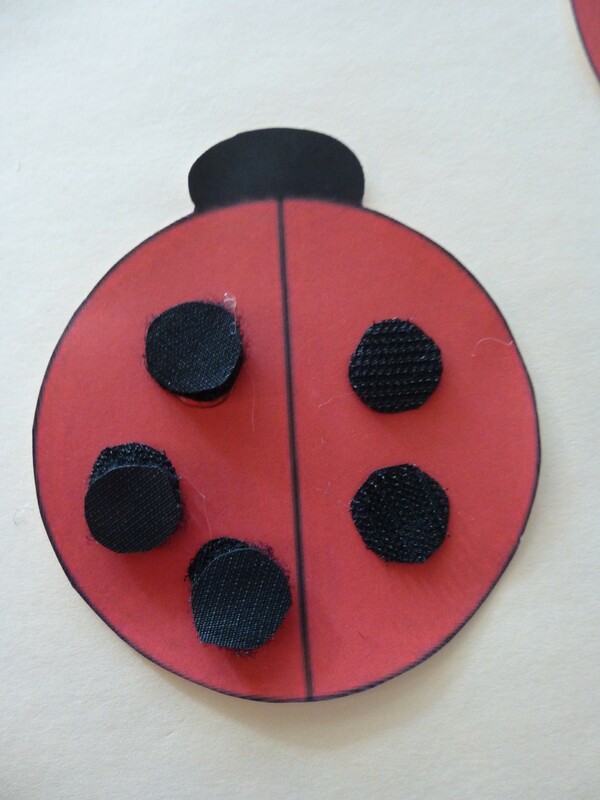 From a ladybug math game I made. 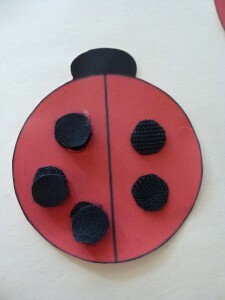 The spots are velcro for the girls to practice counting and fine motor skills. Last week we focused on the letter B. (My plan was to do B when we did Bats but time got away from us so we did it when we talked about our body). 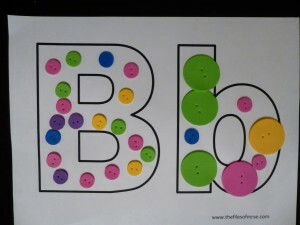 In addition to practicing the letter B, we made it a point to do activities that start with the letter B–beading, beanbags, bubbles, buttoning. I took pictures of the girls while doing different activities that start with the letter B–beading, bubbles, blocks. 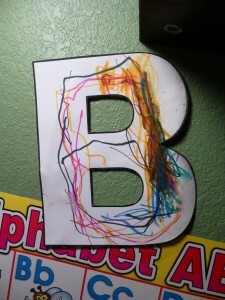 We also took pictures of B things around the house such as their Bible, books, and bed. Using cardstock paper cut in half, ribbon, glue, and crayons we put all the pictures together to make a book. 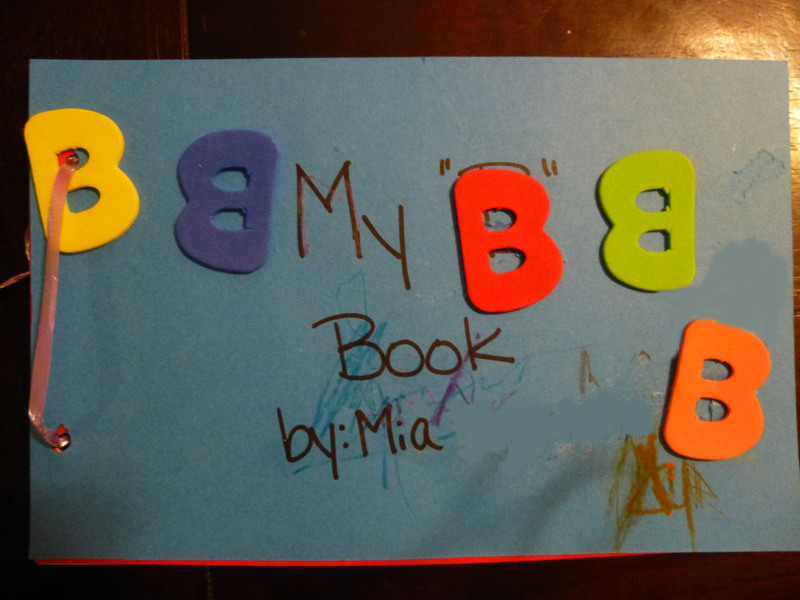 The girls LOVE reading their B books. They even had to skype their aunt to read it to her. Using our B template of upper- and lower-case B’s we decorated them with buttons. 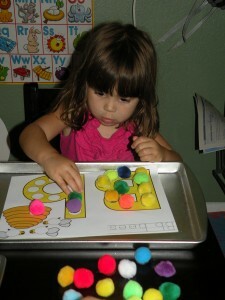 We actually used fun foam buttons to make it easier to stick them to page. 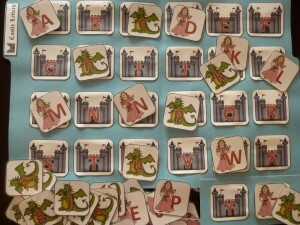 I was so lucky to receive this set of Alphabet resources from a friend and former grade school teacher. 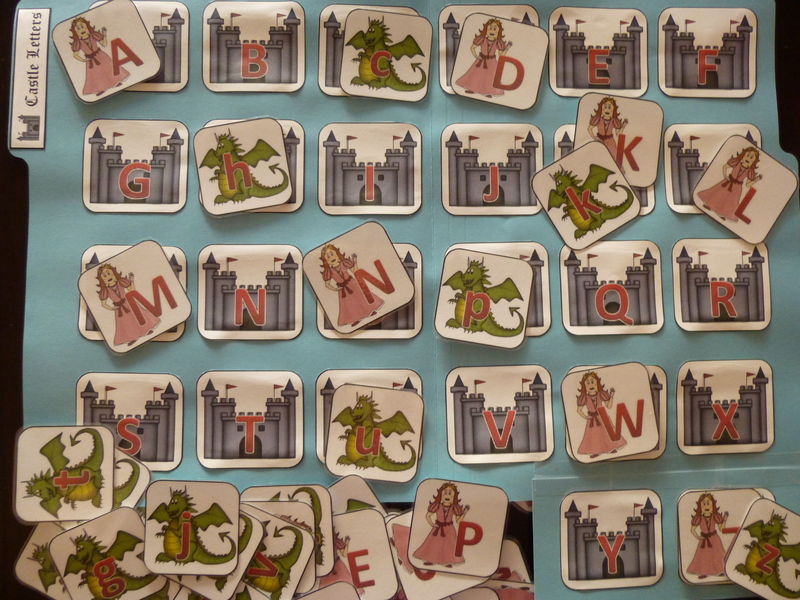 The books might be 30 years old but the alphabet hasn’t changed. We did the puppet and story cards for B.B. Bunny from Alphabet Stories by Jill M. Coudron. The girls LOVED it. 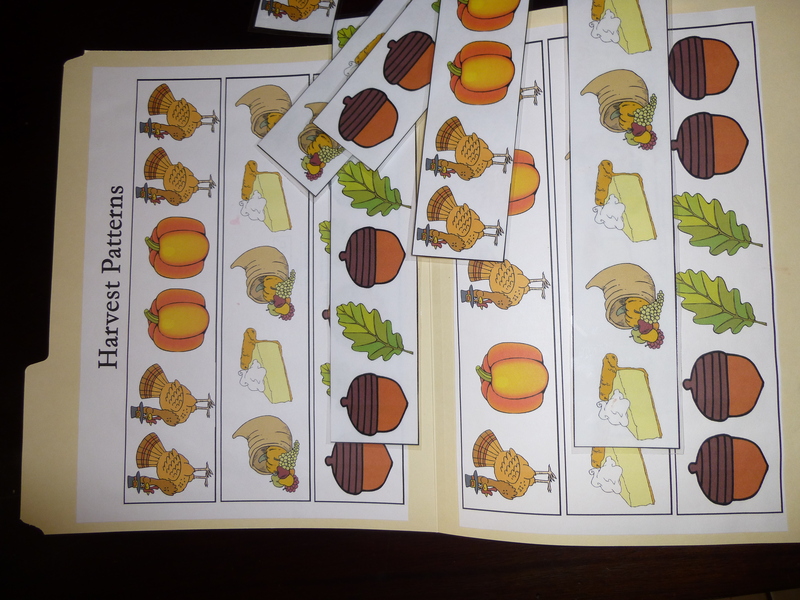 After using the story cards to tell the story, I mixed the cards up and had the girls put the cards in order to practice their comprehension. They also enjoyed singing the songs and playing games with their puppets from Coudron’s Alphabet Puppets. I was surprised at how expensive Alphabet Stories is. 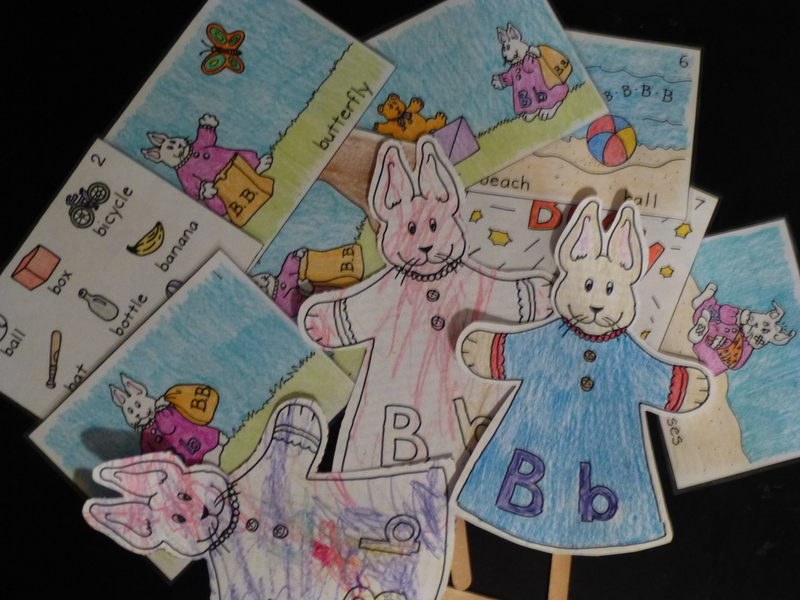 While it’s great to get the puppet templates and stories, Alphabet Puppets has suggestions for making your own puppets and lots of activities for each letter. 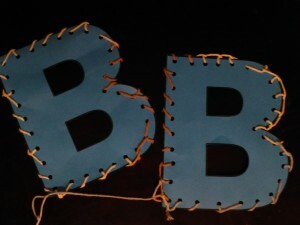 I also printed out the B on plain paper for the girls to color and decorate. This was a tasty treat. I just used pre-made pizza dough. 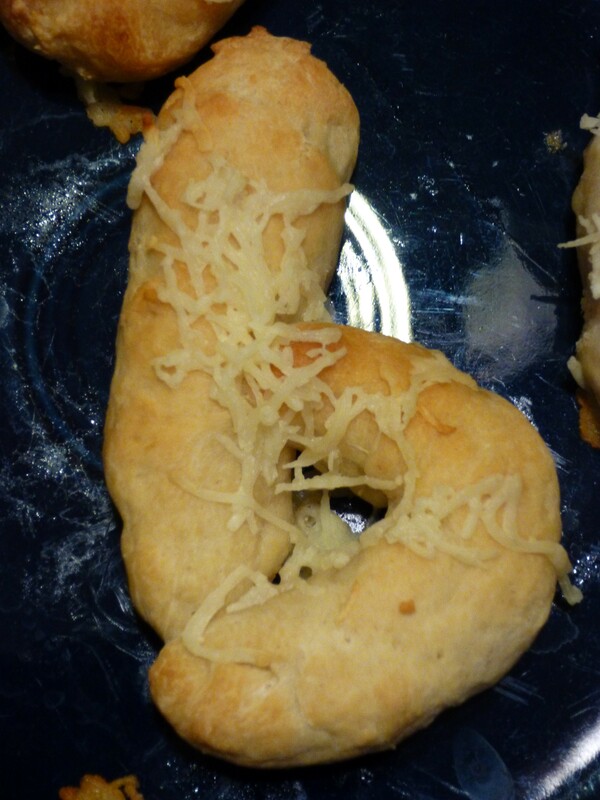 We stretched it into the shape of lower-case b’s and then topped them with Italian seasoning and cheese. 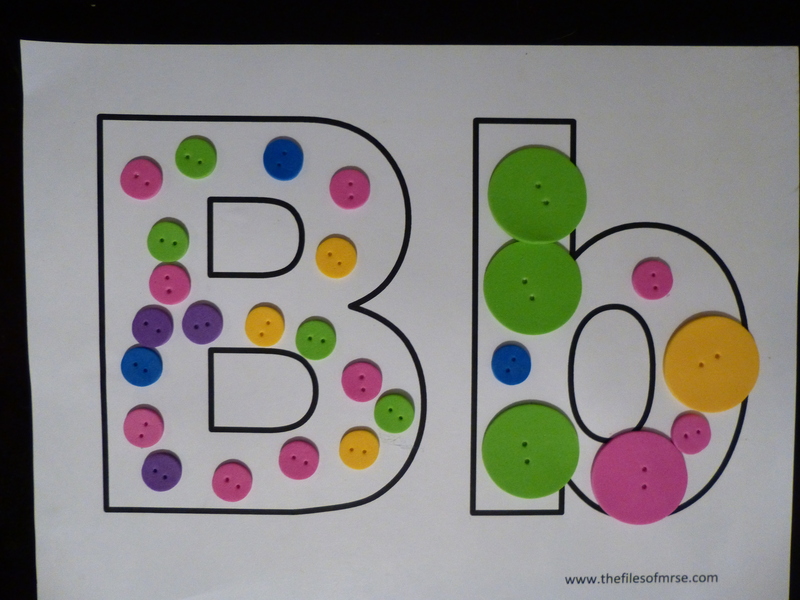 Here are some different worksheets and printables about the letter B. Some we did together, others I just printed and keep out in their art area if they would like to color them. 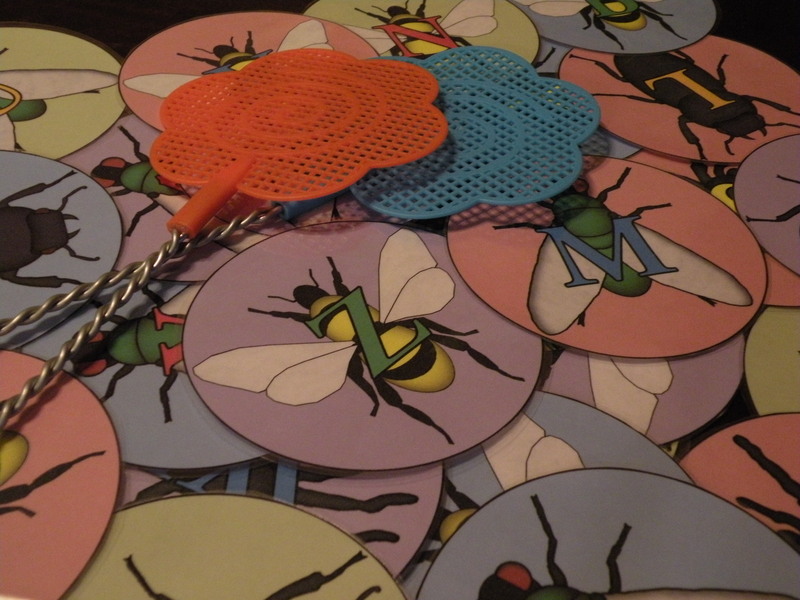 When I came across these cute flyswatters at the dollar store (2 for $1), I got the idea for an alphabet game. Luckily my awesome husband was willing to design it for me on the computer. 🙂 They are really cute and work perfectly with all of our bug activities we’ve been doing for springtime. 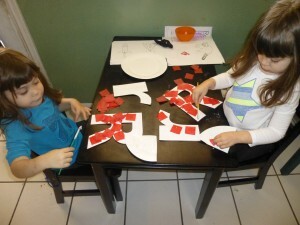 To keep the girls from getting overwhelmed, we started by laying out just a couple letters at a time and adding to them. Then I would call out a letter and the girls would smack it with their flyswatters. They loved it! 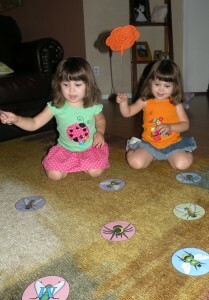 Later they played all on their own, swatting circles and calling out the letters. So far we’ve only played on the floor but you could certainly tape them to a wall. I also thought it would be fun later on to make a physical dot-to-dot with the letters around the house, having the girls follow the alphabet around or simple words spelled out. I thought that would be fun for older kids who know their letters better. For smaller children who do not yet know their letters, they could practice sorting the circles by color or bug, just getting exposed to letters. I recommend printing them out on cardstock and laminating them so that they remain sturdy. And while we only have capital letters right now, little does Ed know that I’m hoping he will make lower-case letters soon too. As soon as we have them I’ll post them.